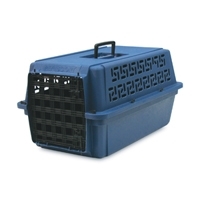 Petmate Deluxe - Vari Kennel Jr. 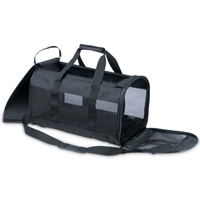 Basic but practical for this soft sided carrier. Backing is durable and lightweight with an adjustable shoulder strap and comfort grip handles. Folds from bottom eliminated the possibility of collapsing in on pet. Top loading with a dual zipper feature, or front load. 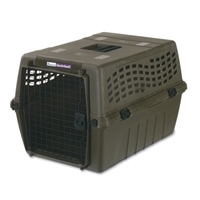 Three sided mesh panels provide fresh air and excellent viewing for pet. A simulated sheepskin pad provides added comfort.